Contrary to what some might think, some of your everyday health symptoms can be successfully treated by understanding and applying the uses of apple cider vinegar most effectively. When you take a closer look at some of your historical health books, it is obvious vinegar was used by our great, great, grandparents to elevate many health problems, including for cooking and household purposes. I remember as a kid, the stories from my parents about how it was used as an ancient folk remedy. I watched in amazement how my mother used apple cider vinegar to arrest the symptoms of many common daily health issues like common cold, cough, sneezing etc. While there are other vinegar solutions one can buy at many natural health community stores, the most popular one is still Apple cider vinegar. While some of the apple cider vinegar uses are passed on from generation to generation, some of the health benefits of apple cider vinegar are now clearly supported by science. Before we provide many answers to the question of what is apple cider vinegar good for, let’s examine how this miracle cure product is made. 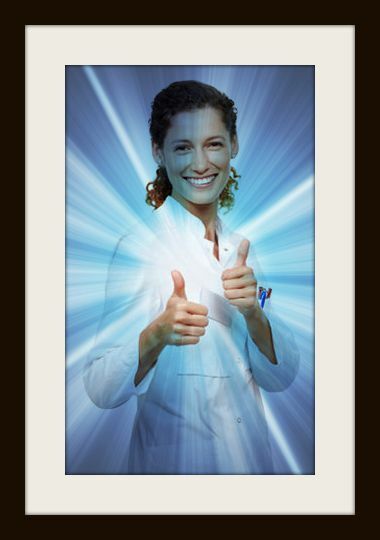 It is the presence of Acetic Acid that allows it to deliver potent biological effects. The creation of vinegar can be called a two-step process, like the way regular alcohol is produced. 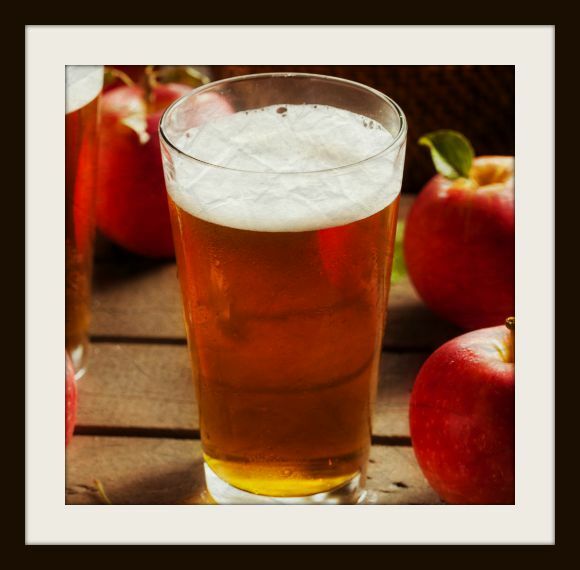 Fresh apples or apple cider are crushed and then exposed to yeast. The next step is the fermentation of the sugars in the apple, which then turns them into alcohol. Afterward, good bacteria are mixed into the alcohol solution, which creates further fermentation thereby turning the solution into acetic acid. This is the main active ingredient found in apple cider vinegar. Some manufacturers have perfected the act of creating unfiltered, organic apple cider vinegar by adding “mother,” which is a strand of enzymes, proteins, and other friendly bacteria. This allows the product to get a cobweb-like, murky appearance. Some will argue that the addition of the “mother,” creates all the apple cider vinegar health benefits. A good brand of apple cider vinegar (like the one made by Bragg) contains close to 3 to 4 calories per tablespoonful, which by all estimation is very low and healthy for you. While it contains a small amount of potassium, the list of vitamins and natural minerals are still been catalog as we speak. A high-quality brand of organic apple cider vinegar will also contain some antioxidants and amino acids. To summarize, the making of best apple cider vinegar brands results from the fermentation of the sugars found in apples. Further processing turns the solution into acetic acid, which is one of the most active ingredients present in vinegar. Apart from all the other known apple cider vinegar uses, here are some of the most common and scientifically supported benefits of drinking apple cider vinegar on a regular basis. Most illnesses can be traced to the presence of pathogens including bacteria. Most of the bacteria responsible for your most common sicknesses are susceptible to the antimicrobial powers found in apple cider vinegar. For centuries, vinegar has been utilized for disinfecting and cleaning, including the effective treatment of warts, lice, ear infections and nail fungus. The great Greek physician called Hippocrates, which many consider the founder of modern medicine, successfully used vinegar to treat wounds over two thousand years ago. Another widely accepted benefit of vinegar is its use as an effective food preservative. It is powerful enough to impede the growth of bacteria (like the powerful E. coli), thus preventing early food spoilage. For those seeking natural food preservation methods, a good brand of organic apple cider vinegar should deliver potent results. As you know, modern doctors are slow to accept the powers of natural healing products; hence they would all be out of business. It is effective at soothing a sore throat. Since most germs cannot survive within an acidic environment like the one created by vinegar, you can use it to successfully treat common, mild form of a sore throat. It is an effective bad breath remedy. The antibacterial properties found in vinegar are powerful enough to break down plaque while also killing the bacteria responsible for halitosis. Vinegar can be used to correct most tummy troubles. Your diarrhea can be traced to the presence of bacteria, and you can successfully eliminate them by drinking apple cider vinegar solution. The presence of pectin in apple cider vinegar can be beneficial in soothing those annoying and sometimes painful intestinal spasms. Based on recent studies, one of the most successful applications of vinegar can be found in patients suffering from type 2 diabetics. The elevation of blood sugar levels is one of the most common problems associated with type two diabetics, which might express itself as lack of enough production of insulin or resistance to it. It is also true that high blood sugar levels can pose health challenges to people without diabetes. The presence of too much blood sugar can cause premature aging while also enabling other deadly chronic illnesses. Having said that, it is obvious everyone can benefit from normal blood sugar levels. The healthiest and most effective way to make that happen is to avoid or consume less refined carbs and sugar. Based on numerous studies, drinking apple cider vinegar will have a positive effect on your blood sugar levels and insulin function. Just 2 to 3 tablespoonful of organic apple cider vinegar will improve your insulin sensitivity while also helping to lower your blood sugar levels after meals. 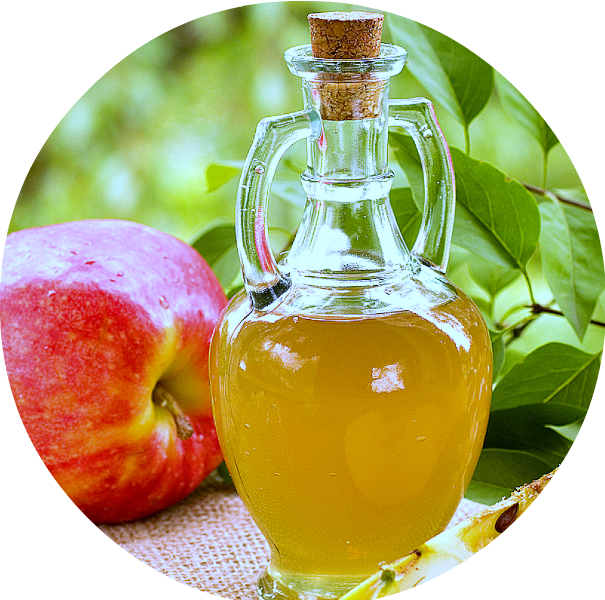 3 – Can You Use Apple Cider Vinegar for Weight Loss? From all the apple cider vinegar weight loss reviews, we looked at online, the claim that it can help one lose fat has not been clearly established. Do apple cider vinegar benefits weight loss? From all the data we looked at, you may lose a few pounds with daily drinking of small amounts of apple cider vinegar. Sorry to disappoint those seeking how to use apple cider vinegar for weight loss, for the massive shedding of pounds claimed by some of the bloggers is just not supported by the available scientific data. Since it can help lower your blood sugar levels, you should experience some weight loss over time, not just a huge amount. The only true way to lose weight and keep it off is to eat fewer calories on a daily basis. While some dietary supplements might play a significant role in any weight-loss stories, it is the combination of healthy dieting and regular workouts that would make it permanent. It is true that apple cider vinegar can induce feelings of fullness, which makes you eat less. But other actions are needed on your part to experience significant fat loss. 4 – Will Apple Cider Vinegar Benefit Your Heart? With Cardiovascular diseases killing more Americans on a daily basis, most are searching for a miracle cure but apple cider vinegar is not it. While some of the risk factors associated with most Cardiovascular diseases can be reduced by drinking apple cider vinegar on a daily basis, it is your lifestyle choices that need adjustment. There are ongoing studies to see if drinking regular amounts of organic apple cider vinegar can help lower bad cholesterol and triglyceride levels. Based on many heart health research papers we looked at, this vital human organ is only made strong after you make better lifestyle choices when it comes to dieting and exercising. Smoking of any kind and drinking alcohol will affect your heart health negatively, regardless of the type of vitamins or supplements you’re consuming. 5 – Can Apple Cider Vinegar Keep Cancer Away? Of all the health benefits of apple cider vinegar we explored, the anti-cancer effects is mostly all hype with no scientific data to back it up. Contrary to what most people think, the development of any type of cancer is a slow process that is enabled by bad lifestyle choices over a long period of time. The accumulation of bad foods, smoking and drinking alcohol takes a deadly toll on the human body. It is true some studies have shown that drinking apple cider vinegar can help kill some cancer-causing cells while also shrinking some tumors. Can you use apple cider vinegar for cancer treatment; the right answer is a qualified no. If you combine healthy lifestyle choice with drinking daily doses of apple cider vinegar, you’ll definitely experience potent results. The presence of polyphenols in apple cider vinegar will help reduce some of your cancer causing risk factors, but do not look at the product as a magic panacea. So from all the scientific data we gathered, the relation between apple cider vinegar and cancer are thin at best. Despite all the health uses for apple cider vinegar, there can be potential side effects if you over indulge in drinking the product. The taste of the organic brands of apple cider vinegar might be tough for some to swallow, but you can add honey or water to make it more palatable. You might also make it taste better by mixing it into fresh fruit juices or your smoothie creations. Drinking too much of it might cause damage to your tooth enamel, due to the high acidic content. Your esophagus might also be irritated if you over indulge. Pasteurization while beneficial in killing potential bacteria in dairy products and juices, it will also remove most of the good nutrients and enzymes present in the ingredients. If you want some of the top benefits of drinking apple cider vinegar, you should stick to the raw organic unfiltered brands, as most will still contain most of the “mother” ingredients that make it beneficial for a growing body. The refined and distilled vinegar found in your local supermarket will not contain the nutrients you’re seeking to get the health benefits associated with drinking apple cider vinegar. Best of all, any fear of bacteria in apple cider vinegar is negated due to the high acidic content of the solution. Some manufacturers use pasteurization as a way to increase the quantity, by adding sweeteners and other questionable ingredients to increase shelf life. To prevent oxidization, it is recommended you keep your apple cider vinegar out of direct sunlight. Based on all the benefits listed in this article, it is well within reason to say apple cider vinegar is good for you. The best apple cider vinegar brand should be unpasteurized, with raw unfiltered cloudy looking solutions. You do not have to ask – is apple vinegar good for you? When using the natural unfiltered apple cider vinegar from Bragg. This product is raw, organic, unfiltered, and aged in wood for the best preservation of the natural nutrients present in the ingredients used. The apples used to make this product are organically grown, and offers zesty goodness with all the “mother” ingredients preserved during the manufacturing process. This unpasteurized apple cider vinegar brand is rich in potassium and enzymes. It is naturally formulated to support a healthy immune system. Bragg Raw Apple Cider Vinegar is free of all genetically modified organisms and certified organic. It is also certified kosher, which will be pleasing to most vegetarians.